Top quality home/office carpet cleaning contractor! The most sensible answers to frequently asked carpet cleaning questions are found on this page. Our Frequently Asked Questions page is a collection of information about carpet cleaning intended for a general audience with no or little technical background. No knowledge or special expertise is needed, just scroll down to see how it works! What should I do if carpets are soaked? If you have rugs, you should lift them from the floor immediately and let them dry in the open space. It will be more difficult to dry carpets glued on the floor and the specialists of Carpet Cleaning Gardena would recommend using fans, dehumidifiers or hair dryers. Carpets must be dried as fast as possible. If they were soaked with dirty waters, carpet cleaning is required first. For odor removal, use vinegar. How often must I clean kid's rugs? Rugs where children sit, play and eat must be spotless. They should be cleaned daily. 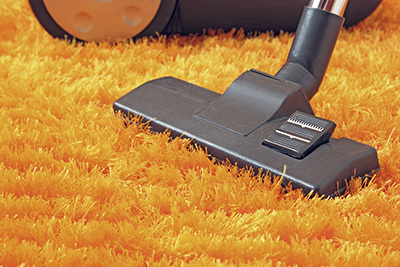 Rug cleaning should also include shaking or beating them and definitely vacuuming them. If there are grimes, stain removal must take place immediately. Remember that kids would put their mouths on the carpets or place their food there before consuming it. Avoid stepping with shoes because children are very sensitive to germs. You need to shield their health. What are the precautions in steam carpet cleaning? 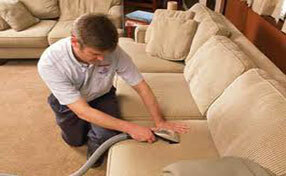 There are many advantages in steam carpet cleaning. However, as the long-time cleaners in Gardena opine, you have to be careful with it. Be sure that your carpets are colorfast. The heat used in steam carpet cleaning, together with the cleaning chemicals, can cause the carpet’s color to fade. Similarly, the heat may shrink the carpet’s fabric. Why can't I machine wash flokati rugs? Real flokati rugs are made by natural materials and they will definitely shrink in the washing machine. Handmade flokati rug cleaning needs great attention. In fact, you must hand wash them and make sure the right ecofriendly products are used to protect the fibers and keep them soft and harmless to your health. What is the best way to deodorize a carpet? Sprinkling baking soda on the carpet or adding it in a vacuum bag is the easiest way to deodorize a carpet. Professional cleaners have more effective solutions that will get rid of smell left behind by milk, urine, vomit, and the like. But just in case it is not yet scheduled for professional cleaning, baking soda will do. How often do carpets need cleaning? The frequency of carpet cleaning depends on foot traffic. The more you step on carpets (especially with shoes), the more often you should clean. That's why office carpet cleaning is required daily. Carpet Cleaning Gardena suggests vacuuming at least once or twice each week. 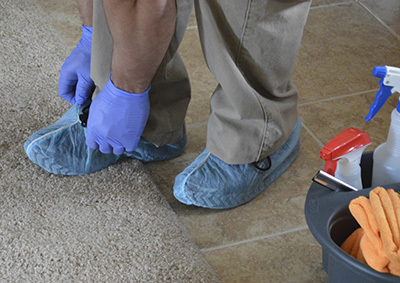 Carpet maintenance must take place once every year and stain removal instantly. Bedroom floors should be vacuumed even more often. Is it a good idea to rinse tiles with hot water? Most types of tiles including the widely used porcelain ones cannot be damaged by hot water. Quite the opposite, it allows for more effective removal of traces of the cleaning solution which has been used. That is why you can use it for rinsing with confidence. Just remember to dry the floor with a soft cloth afterwards.